Posted November 5th, 2014 by TheGolfersClub & filed under Blog, Reviews. Engineered to help mis-hits perform more like pure strikes. 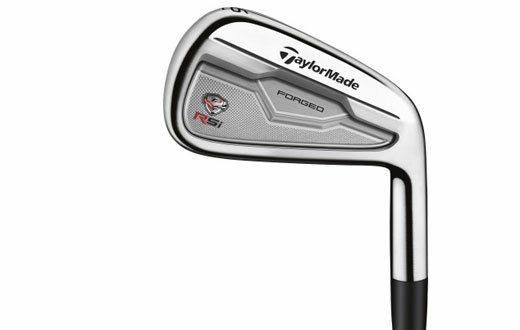 TaylorMade have introduced the new RSi iron family featuring face slot technology, the next great innovation from the company that has pioneered the performance of the modern distance iron. Two years ago, TaylorMade introduced “Speed Pockets” (a small slot in the sole of the iron to improve shots struck low on the face of the iron). The company has taken everything it’s learned from the development of the Speed Pocket technology (originally introduced in its revolutionary RocketBallz fairway wood) and applied it to the iron face to activate the toe and heel areas to provide more uniform flexion across the face and protect ball speed on off-centre hits. 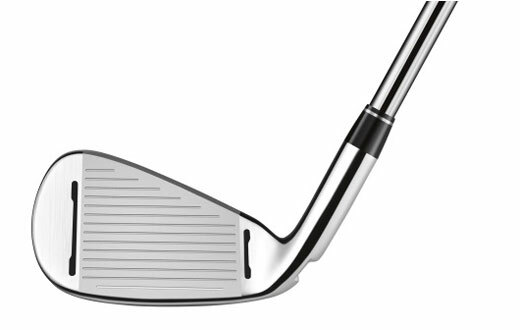 Only available with RSi, face slots are found in the 3-8 irons. In addition to face slots, the improved Speed Pocket in the RSi iron features ThruSlot technology – engineered to activate the lower portion of the face by minimising speed reduction and creating higher launch on shots hit below centre. The family of RSi irons features three distinct models; each designed to appeal to the performance needs of different player types. RSi 1 features TaylorMade’s advanced face design – an engineering feat that incorporates the company’s thinnest face ever in order to promote greater ball speed. The most resounding characteristic of the RSi 2 is the progressive multi-material construction. The 3-5 irons are cast from 450 stainless steel with tungsten weighting to promote a lower CG and slightly higher flight. The RSi TP irons combine the forged look and feel preferred by better players with added face-slots. PGA Tour Professionals find the centre of the clubface far more often than amateurs, but even the world’s best players miss more often than you think. Sergio Garcia is regarded as one of the most consistent players on the PGA Tour when he has an iron in his hand, but the mis-hit is also a big factor for him. “I would say that in a given round of golf, we probably mis-hit the ball at least 30% of the time,” said Garcia. 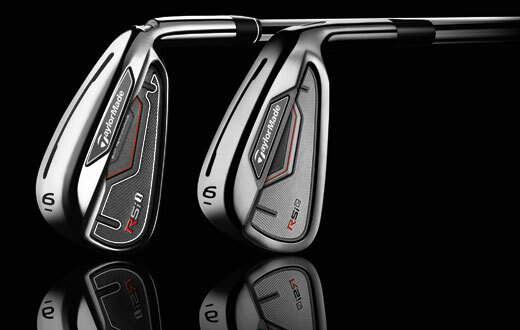 Q: What type of technology has been introduced to the new TaylorMade’s RSi iron family? To enter, email your answer to competitions@twww.golfcare.co.uk with your name, membership number and contact number. The prize draw will take place on the 1st December 2014.